Happy New Year to all our readers, hope you each managed to get in some relaxation over the Christmas holiday period, and are refreshed and back into the swing of things for 2018. Samantha sent in an email over the break asking whether she would need to purchase a new router in the next few months as she spotted some of the announcements out of the Consumer Electronics Show (CES) held in Las Vegas in early January. She has just purchased a new 802.11ac router, but saw announcements for the new 802.11ax technology and wants to know whether her new product is obsolete! Let me explain with a bit of recent Wifi history. The 802.11ac standard was ratified in 2013, so it’s been with us now for more than four years, which is quite a long time in the world of Wi-Fi. There have been some other standards since then, most notably 802.11ad, however this uses the 60GHz band which is very high (compared to 2.4GHz or 5GHz) and anyone who did basic physics at school would remember that the higher the frequency the shorter the distance the signal can travel, without exponentially increasing the power required. As such, at 60GHz, 802.11ad is great for ‘line of sight’ communications, but if a single wall gets in the way, then your 802.llad signal won’t be punching through that. In other words it never really got off the ground as a viable Wifi replacement. Most people are looking for the perfect balance between what I like to call Wi-Fi “capacity”, where you have enough ‘total’ speed to handle multiple devices that are in use simultaneously, such as the Smart TV streaming Netflix, the tablet or laptop surfing the web, the console playing online games, and the IoT devices all talking to one another monitoring the home, and coverage, so that you don’t have dead spots or weak Wifi signals anywhere around your home. This is why 802.11ax will become the next mainstream Wi-Fi standard. It builds on the existing 802.11ac platform, using the same frequency bands that we are already using in 2.4Ghz and 5GHz, but uses far more efficient spectrum band management. In fact, even though the underlying data rate in 802.11ax is only 37% higher than 802.11ac, we are going to see speeds 400% faster than the current devices on the market. Even more importantly than just speed though, is that 802.11ax supports even more devices simultaneously talking to one another, through the use of next-generation MU-MIMO (Multi User Multiple-Input and Multiple- Output) technology and one of my favorite acronyms (the networking world loves an acronym), OFDMA (Orthogonal Frequency Division Multiple Access). Google that for some bedtime reading. But seriously, what will this next generation of Wi-Fi really give you? Well, in essence, it’s more speed to each individual device on your network, combined with overall more capacity on your network, as well as your Wi-Fi signals being able get even greater range around your home. The really good news is that it’s also backwards compatible with 802.11ac, which itself is backwards compatible with 802.11n and its predecessors, so all your existing devices don’t need to be thrown out, they will work just fine (in fact slightly better than they do today). It’s evolutionary rather than revolutionary, which with our plethora of existing Wi-Fi devices, is a good thing. Whilst the first devices were just announced at CES, realistically, we won’t see devices hit the market for sale until mid-year of 2018, and client devices such as phones or tablets that make use of this new standard until closer to 2019. 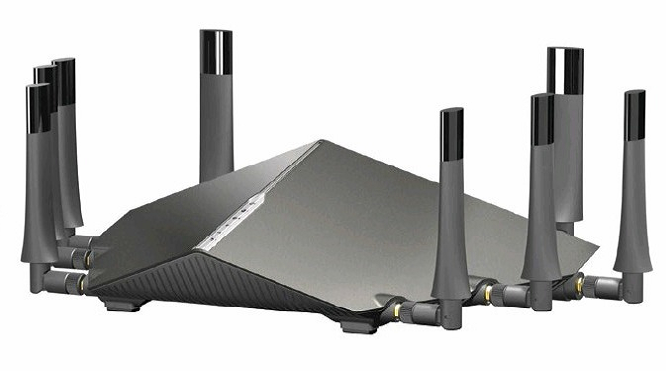 However, once they do start to appear, and the ongoing proliferation of devices within people’s homes continues, it will make a lot of sense to make the switch to one of these new 802.11ax router as the core of your Wifi network.